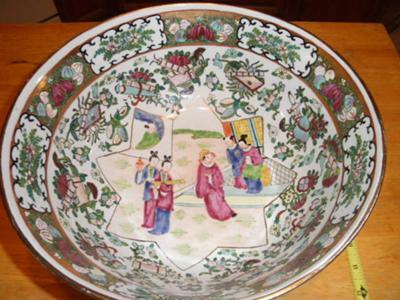 Comments for 12" painted bowl origin? Only closeup pictures of decoration and bottom can provide any relevant information. Faces are important for dating too.